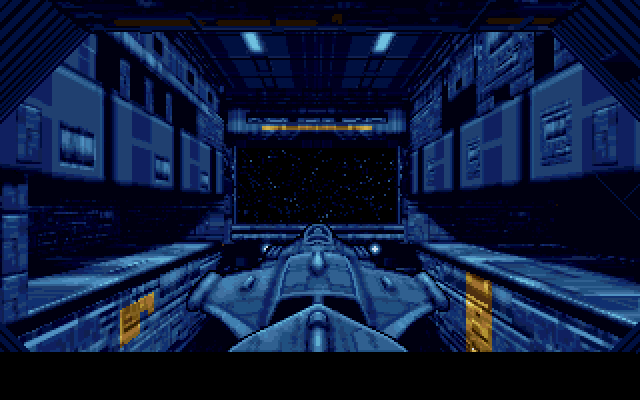 These graphics weren't used in the final game, Psygnosis' landmark 3D animated sequences were used instead. This was taken from a promotional Psygnosis slideshow. 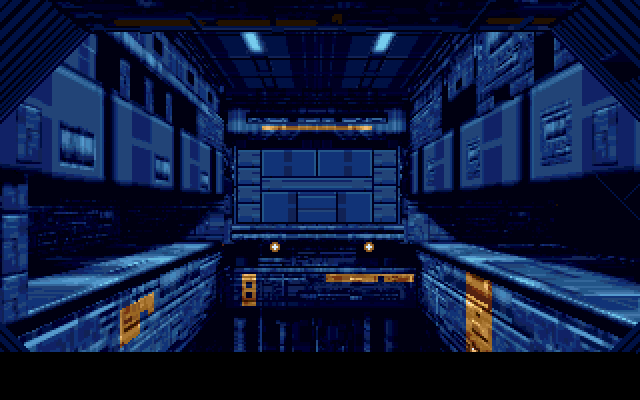 The WIP image could also be from an animation since it shows the bay doors closed and has the spacecraft missing. I haven't yet been able to find out if the unused images from Aquaventura included animated sequences.